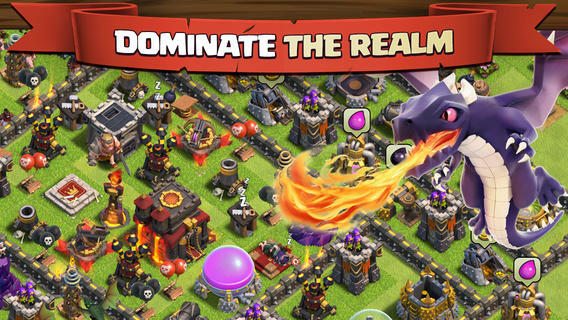 If you’re a fan of Clash of Clans who owns an Android device, you might want to sit down before you read on. Supercell, the Finnish company that develops the hit game, said last month it is exploring the idea of releasing apps for Android — well it turns out that Clash of Clans is available for Android. There is a large caveat, however, since it appears that the app is in limited beta at this point and therefore not available to members of the public. Btw…. THERES ANDROID BETA FOR CLASH OF CLANS!!!!!! 6:30pm: Small cinematic CoC video with real life cosplay. Sometime at the end Steve announced CoC Beta for Android. It seems some users were disappointed that the Android beta was revealed at the end of the meet-up, when many had left, but the news is significant for the legions of Supercell fans that own Android devices. It could be that the meeting was a sneak peak and the beta is officially launched on Thursday, US time — we’ve reached out to the company to get more details of its plans for Android. We’re also keeping our eyes out should the beta drop into the Google Play store for everyone to download. Supercell has pursued an iOS-only strategy to date, but CEO Ilkka Paananen conceded that Android was essential if the company is to succeed in Asia — where many developers prioritize Android over iOS in accordance with the Google platform’s dominance. Back in April, Supercell was bringing in $2.4 million a day from its apps. At that time, the company was valued at $770 million.